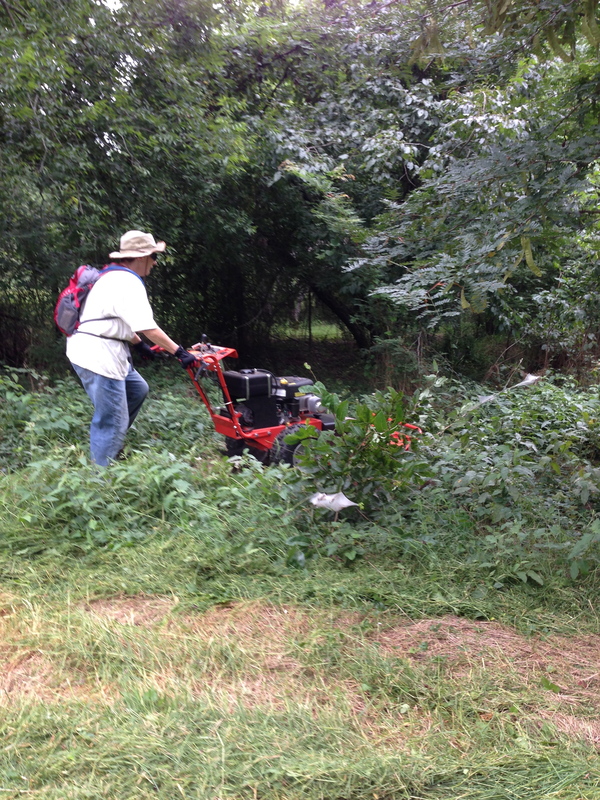 This weekend we really got to give our new brush cutter a work out. Although I have never been one for mowing grass, there is a certain satisfaction in mowing grass, trees and brush that is as tall as you are. Thanks to DeAuns great idea, I wore my “camel back” backpack. It carries 2 liters of water that you can sip through a tube while you’re mowing. Great idea. 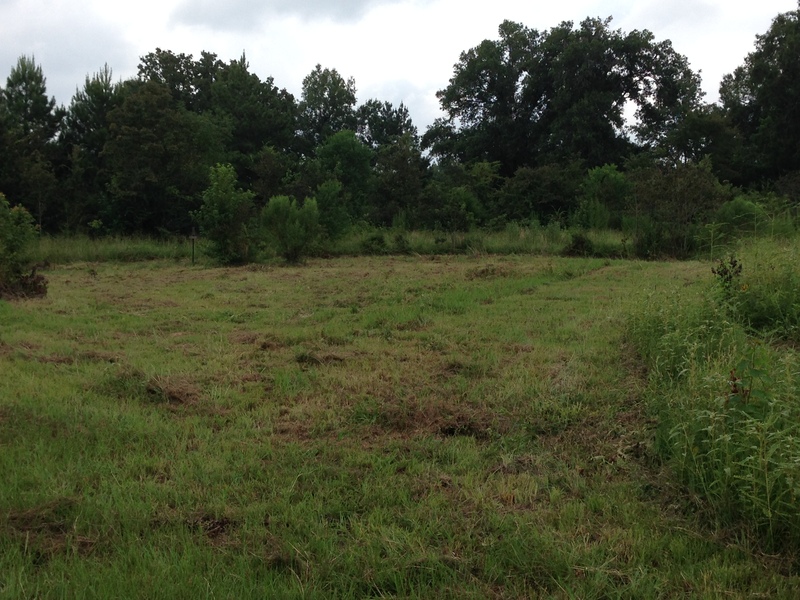 I mowed a portion of what used to be pasture, and DeAun mowed around the pond so we can have a good view from the bench. 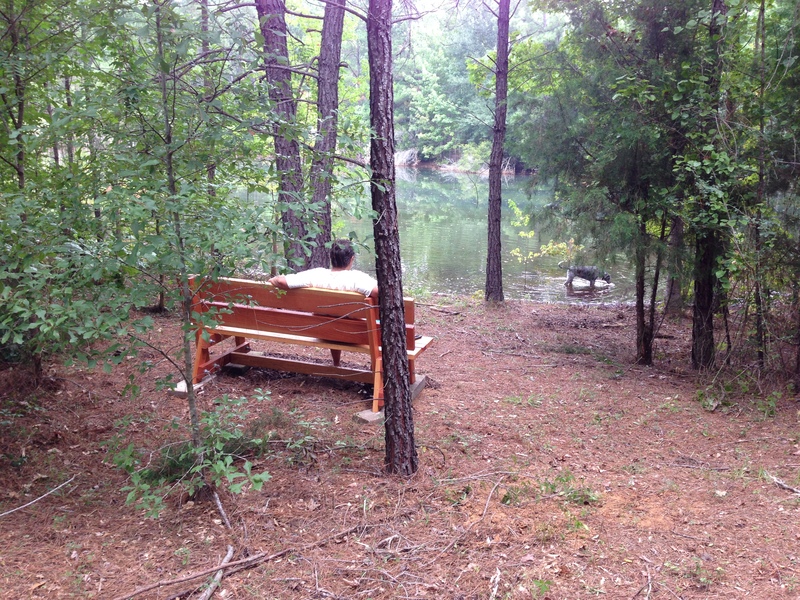 We ended up having to put the bench back about 15 feet because we could see where the water had washed over the bottom part of the bench when it rained.